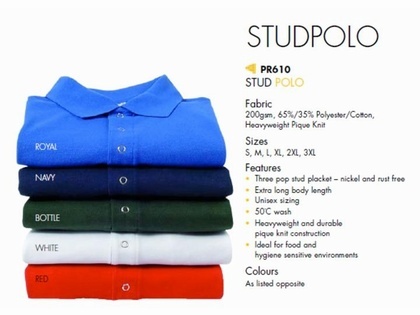 3323 x UNISEX MENS LADIES SNAP BUTTON PR610 POLO SHIRTS.. JUST £1.25 EACH. 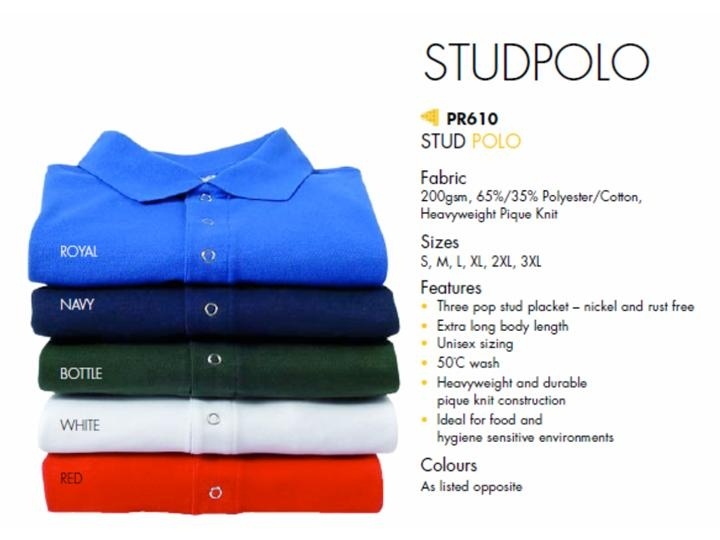 TOTAL RED AND GREEN POLOS ... 3323. PLEASE DOWNLOAD PDF FILE AT THE TOP OF THE PAGE FOR MORE DETAILS.